Not quite ready to go for a bright coat or bold sweaters but still want to add some color to your winter wardrobe? No worries. I got you. 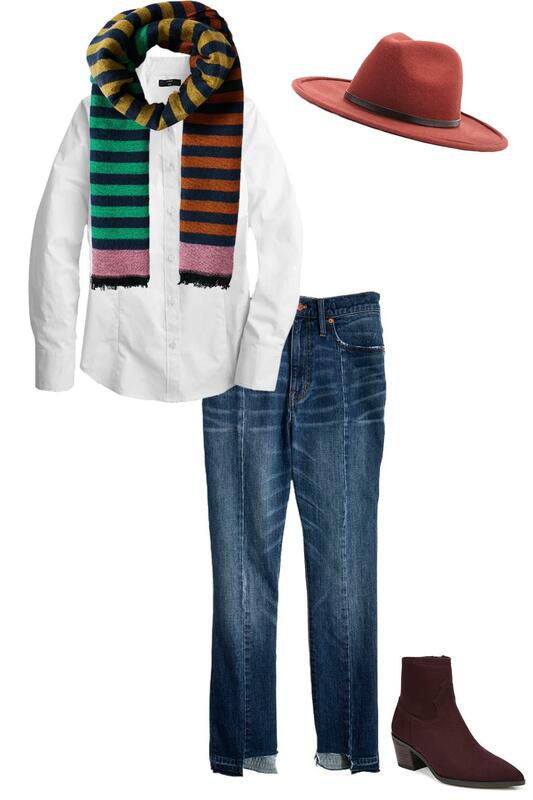 A super easy way to infuse color into your winter outfits is by adding colorful winter accessories. It’s freezing, so you need gloves, hats, and scarves, right? Choose those essential accessories in your favorite brights. Here’s an example that I’m loving. How adorable is the rust fedora (only $22.90)?